From airports to Ziggurats, this title explores the world's greatest buildings with illustrations that take you to the heart of the world's landmark buildings. Featuring major historical styles, and covering parts of the world, it is suitable for architecture enthusiasts, and discovers 5,000 years of architectural design, style, and construction. Showing you what others only tell you, from airports to Ziggurats, this title explores the world's greatest buildings with fascinating illustrations that take you right to the heart of the world's landmark buildings. Featuring all major historical styles, and covering all parts of the world, it enables you discover how building has evolved from extravagant royal palaces to the towering headquarters of today's global corporations. Perfect for any architecture enthusiast, this is the definitive visual guide to discovering 5,000 years of architectural design, style, and construction. 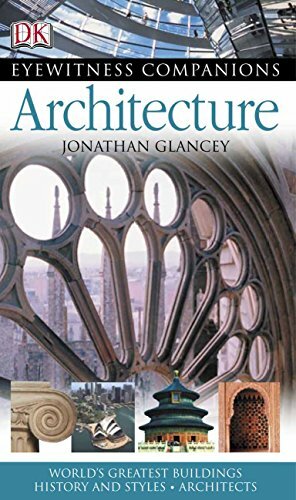 Jonathan Glancey is an Honorary Fellow of The Royal Institute of British Architects, London and the Architecture and Design Editor of The Guardian newspaper. He is also the author of several books on architecture, including DK's Story of Architecture, and a regular TV and radio broadcaster who has written and presented programmes for BBC TV and Channel 4, as well as BBC Radio 4. He has been assistant editor of the Architectural Review, editor of The Architect and has contributed to a number of architectural and design magazines in Europe and the US. Jonathan resides in London.